Hartman Institute's involvement in educational initiatives together with the Defense Ministry may be tainted by conflict of interest. The Lavie Civil Rights organization has appealed to the director-general of the Defense Ministry to investigate a conflict of interest and failure to comply with tender specifications on the part of the Hartman Institute and the heads of the Mechzavim program of educational initiatives in the senior ranks of the IDF. The organization registered a complaint with Defense Ministry Director-General, General Ehud (Udi) Adam, and demanded an investigation of the issue, sanctions and a suspension of the contract with the Hartman institute. According to the complaint registered by attorney Avichai Boaron, there is a serious suspicion of conflict of interest of the leader of the program as well as a deviation from the tender's specifications on the part of the Hartman institute which won the job through the public tender. The Mechzavim program presents seminars to the senior echelons of the IDF on topics of identity and ethics. Hartman has appointed Colonel Yaakov Kastel to run the program. However during the relevant period of the tender, Kastel was serving as the advisor to the Chief Education Officer who was in charge of the tender. Lavie also mentioned that Kastel's rank does not fit the requirements of the tender for the leader of the educational program. Lavie added that the Chief Education Officer is a central figure in this tender and the winner of the tender required his approval for various issues. This leads to a clear-cut situation of conflict of interest, with the Chief Education Officer's advisor chosen to run a program based on a tender which is under the auspices of the Chief Education Officer. Kastel is also seen as a divisive figure due to his involvement in attempts to convey provocative messages on social media regarding attempts by "ultra-orthodox nationalists" to overtake the IDF. Moreover Lavie suspect that Machon Hartman did not reveal Kastel's position as a personal advisor of the Chief Education Officer to the Defense Ministry and this led to their winning the tender. A representative from Lavie claimed that since "this is a huge tender involving educational initiatives for thousands of IDF officers on issues of identity and ethical conduct, there is a suspicion of significant conflict of interest in the tender. We hope that the Defense Ministry will take the required action without deference to any parties." While the Hartman Institute refused to comment, a IDF spokesperson told Arutz Sheva the claims put forth by Lavie were without foundation. 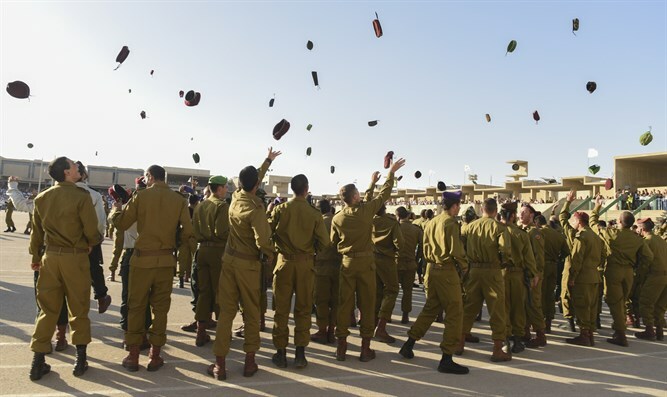 "The Hartman Institute is implementing the Mechzavim program for the senior ranks after it won a tender from the Defense Ministry. Mr. Yaakov Kastel never served as the officer in charge of training in the Mechzavim [program]; rather he serves as program director on behalf of the Hartman Institute." "The position of course commander - which according to the tender was to filled by a Brigadier General - was cancelled due to concerns regarding cost-effectiveness and the course is currently being run by a Mechzavim unit. Kastel never served as a personal advisor to an educational officer at any point during his three year term. Any attempt to influence outside tenders is totally prohibited."